The Common Reading Program provides all incoming first-year and transfer students the opportunity to have a shared intellectual experience and a chance to explore themes and issues connected to civic life as they begin their time at Tufts. Each year, a committee of students, faculty, and staff selects a common book for all incoming Jumbos that we hope will foster conversation, engender a sense of community, and become one of many ways that incoming students connect to each other during their first semester at the University. The Common Reading Program is supported by Tisch College and by the Office of the Dean of Undergraduate and Graduate Students. Students are mailed a copy of the common book in mid-June and are encouraged to read it before they arrive at Tufts so that they can discuss it with their peers, orientation leaders, and advisors. Events featuring the common book's authors and other opportunities to engage with its themes and content will follow throughout the Fall. 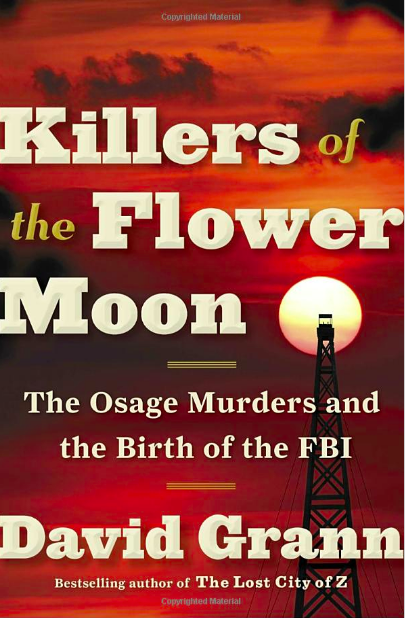 One of the top non-fiction books of 2017, Killers of the Flower Moon documents a series of murders in Osage County, Oklahoma, after the discovery of oil there in the 1920s. David Grann chronicles the deaths of at least 20 wealthy Osage Native Americans, offers detailed evidence tying the murders to cattleman William Hale, and explores how the investigation of the incidents shaped the FBI. A masterful work of narrative non-fiction, the book presents years of research while uncovering a series of shocking secrets. It is also a clear indictment of the prejudice that existed against Native Americans in the early 20th century and persist to this day. For more information contact Robert Mack, Associate Provost and Chief Diversity officer and Associate Dean for Student Success and Advising, at robert.mack@tufts.edu. 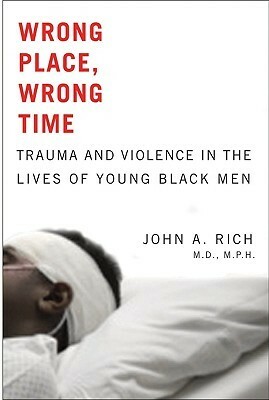 Tisch College is also proud to support the 2018 Common Book for incoming students at the Tufts University School of Medicine (TUSM): Wrong Place, Wrong Time: Trauma and Violence in the Lives of Young Black Men, by Dr. John Rich. Young black men in cities are overwhelmingly the victims―and perpetrators―of violent crime in the United States. Troubled by this tragedy―and by his medical colleagues' apparent numbness in the face of it―Rich, a black man who grew up in relative safety and comfort, reached out to many of these young crime victims to learn why they lived in a seemingly endless cycle of violence and how it affected them. The stories they told him are unsettling―and revealing about the reality of life in American cities. Mixing his own perspective with their seldom-heard voices, Rich relates the stories of young black men whose lives were violently disrupted―and of their struggles to heal and remain safe in an environment that both denied their trauma and blamed them for their injuries. A copy of the book will besent to each incoming Tufts medical student. For more information contact Jennifer Greer-Morrissey, the Tisch College-TUSM Community Service-Learning Coordinator, at jennifer.greer_morrissey@tufts.edu.